To emulate real-world usage scenarios, we record system-wide mains power draw both when idle and while playing Gears of War 4. 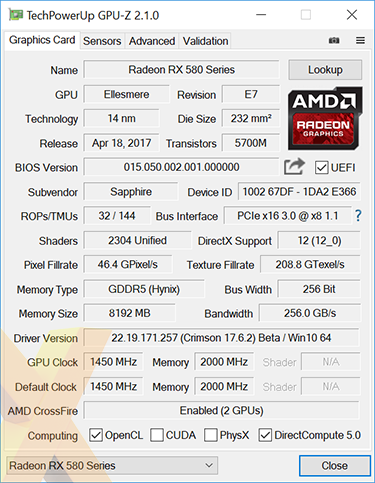 To emulate real-world usage scenarios, we record GPU core temperature both when idle and while playing Gears of War 4. A PCE-318 meter is used to record noise levels when idle and while playing Gears of War 4. For our high-end benchmark suite, we have an array of games tested at FHD (1,920x1,080), QHD (2,560x1,440) and 4K UHD (3,840x2,160) resolutions. Where applicable, any vendor-specific enhancements such as PhysX and TressFX are disabled to help even the playing field. In-game benchmark results are recorded as average frames per second and minimum fps is included where available.